Our product line includes numerous varieties of these workhorse materials used in a wide range of standard wrapping and packing applications for both expensive consumer items and for traditional industrial and manufactured products. Because of their cost-effectiveness and their continued usefulness, these traditional materials are used in a wide range of applications, like filling voids in packages, separating and protecting products in packages, in a growing number of industries. 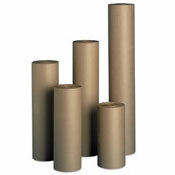 Because of its strength, Kraft paper is used for many industrial and commercial applications. The material is used in packaging operations for packing, wrapping individual items, bundling and void fill. Also, Kraft paper can be used as load binders between layers of palletized products. In addition to these extensive applications, Kraft paper can be used as floor covering in operations like fiberglass operations and the painting of interior spaces, as well as paint masking and skid and pallet covering. Because it is less expensive, bogus paper is utilized as void fill in packing cartons and boxes, as mechanical support in die cut work, as separator sheets for tile and brick products, as sheets between layers of various materials for protection and to avoid sticking, as insert paper for local news paper to keep print from smearing, and as grease absorption in the meat packing process. The material is often used in tool, clock and appliance manufacturing, as well as in the auto-parts and pharmaceutical industries. Because of its softness, tissue paper is used for many delicate consumer items. For example, tissue paper is used to wrap gifts, fill gift baskets, and protect clothing in gift boxes. Tissue paper is also used for wrapping delicate items, like crystal and china, to protect against surface scratches, and it is used in crafts for making things such as flowers, tissue paper balloons and other kinds of decorations for home and business décor and for entertaining. We recommend using a heavier-weight Kraft paper for outer wrapping heavier and more valuable items, like framed pictures and paintings, that will be placed inside packages, and for the wrapping of the exterior of packages. Bogus paper is used mainly for filling voids in packages, to provide cushioning against shocks during shipping, because of its relatively lower price. Among its advantages, bogus paper is inexpensive, is easy to tear, is very absorbent, and bulks well. Both for entertaining and décor, and for packaging, tissue paper can offer people a high level of creativity. In packaging, the various colors available for tissue paper allow companies to match or contrast the colors of their products and the colors of the packing materials. However, when in doubt, you can’t go wrong with white tissue paper. For entertaining and décor, many different kinds of objects can be fashioned with multi-colored tissue paper. Finally, tissue paper can be used for hobby and craft projects for children, and because of its ease of use, it allows children to let their imaginations go in gluing, cutting and stapling different images and objects. Because of the considerable price difference, it is a mistake to use more expensive virgin Kraft paper where less expensive bogus paper can be used, for example in void-filling applications. However, since bogus paper lacks the strength of Kraft paper, it is not an effective wrapping paper. Using tissue paper for void fill is expensive and less effective than other alternatives such as Kraft and bogus paper. Kraft paper is available in both natural brown and bleached varieties. The product designated Virgin Kraft Paper can contain a small percentage of recycled material. However, it has a high burst strength and is available in waterproof form. Kraft paper is available in roll widths of 12, 18, 20, 24, 30, 36 40, 48, 54, 60, 66 and 72 inches. Standard weights available of paper are 30, 40, 50 and 60 lbs. Bogus paper is manufactured from 100% recycled, post-consumer waste cellulose fibers. It is biodegradable and recyclable. Bogus paper has high bulk , low density, excellent flexibility and a very soft surface with great absorbency, but it lacks the strength of Kraft paper. Bogus paper is gray, and is available in plain and indented formats. Rolls are available in standard widths of 18, 24, 30 and 36 inches. Standard weights for the material are 40, 50 and 60 lbs. 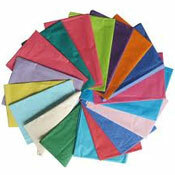 Tissue paper is available in sheets in standard sizes of 18 by 24 inches, 20 by 30 inches, and 24 by 36 inches. Many different colors are available. Two classifications exist: No. 1 tissue is bright white and is used in jewelry store wrapping to protect surfaces and retard tarnishing; No. 2 tissue is gray-white and is used for stuffing and surface protection.